The first Bergman film I ever saw was Cries and Whispers. My father took me. At age 14. It was on a double bill with Amarcord. If that sounds like a strange juxtaposition of films for a double bill, well, it is. Cries and Whispers is a little difficult for most fourteen-year olds, I suspect, and probably for most fifty-four-year-olds as well. At least at that age you’ll have a chance. Ingmar Bergman. 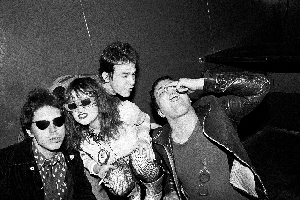 Courtesy Film Forum. I didn’t see another Bergman film until 2003, a shameful omission I mostly kept secret from my friends. That summer, Film Forum ran an extensive retrospective on Bergman, and, coincidentally, I was in a period of my life when I had some spare time on my hands. The series blew my mind and changed my life. Film Forum’s new series, the Ingmar Bergman Centennial Retrospective, has the potential to do the same. Forty-seven films, forty new restorations, including the complete original Scenes from a Marriage and Fanny and Alexander. I could go on, listing all of the brilliant works on offer for the five weeks starting February 7. But instead I’ll speak about what Bergman showed me. I saw ten films in the series, and I can remember every last one as if I saw it last week. How often does that happen? The first film I saw in the 2003 series was Fanny and Alexander, and what a great jumping off point for my adult exploration of Bergman’s work. At the beginning of the film, we see a happy family suddenly torn apart by the father’s stroke. The time is the early twentieth century; the town is Uppsala, Bergman’s home town. Fanny and Alexander are the children from the now split family. Their mother, Emelie Ekdahl (Ewa Fröling) unwisely marries Lutheran Bishop Edvard Vergérus (Jan Malmsjö), who turns out to be an abusive bigot. The character is clearly a brutal portrait of Bergman’s own father, right down to locking his son in dark closets for hours at time. It takes some magic to get Emilie and her children out of the Bishop’s clutches, magic supplied by the Ekdahl’s family friend, Isak Jacobi (Erland Josephson). The result is scary, heart-rending, and ultimately optimistic. 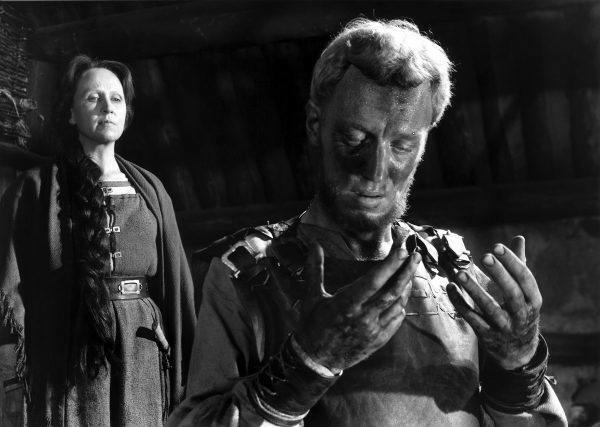 Birgitta Valberg and Max von Sydow in Ingmar Bergman’s The Virgin Spring (1960). Courtesy Janus Films. Next, The Virgin Spring and The Seventh Seal. Both films are set in medieval Sweden, long before Ikea was on the scene. One thing to remember is that in Europe, the Middle Ages are still present, Ikea or no Ikea. That history is all around. The Virgin Spring depicts the struggles of a farm family during Sweden’s transition from the old Norse religion to Christianity (around 1200 C.E. in Sweden, i.e., not that long ago). The daughter, the beautiful Karin (Birgitta Pettersson), is a deeply faithful Christian and much loved by all; the servant girl Ingeri (Birgitta Pettersson), prays to Odin for a curse on Karin. After a terrible tragedy and several deaths, father Christian Per Töre (Max von Sydow) in despair cries out to God, “I don’t understand.” That cry is just as real today as in the year 1200. As for The Seventh Seal, we all know it well. You can’t cheat death. The background of plague makes that clear. Suffice to say that the Grim Reaper is a master chess player. 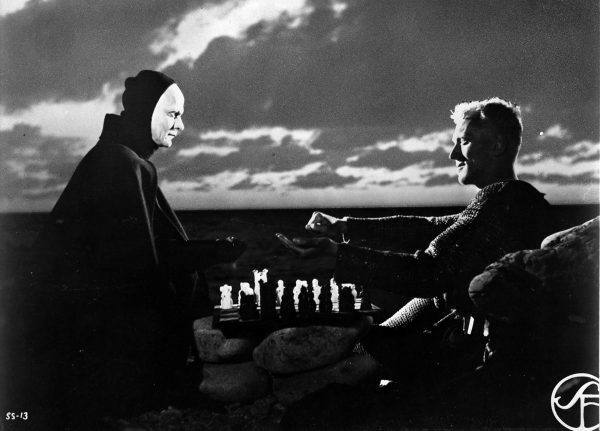 Bengt Ekerot and Max von Sydow in Ingmar Bergman’s The Seventh Seal (1957). Courtesy Janus Films. Shame is one of the few war movies that is truly anti-war. (Paths of Glory is another.) We see Jan Rosenberg (Max von Sydow) go from a nerdy violinist turned farmer, barely able to kill a chicken for dinner, into a brutal murderer. The ending still haunts me. Through a Glass Darkly questions religious faith through a young woman’s schizophrenia. Why would God do that? Questions of faith, the supernatural, illusion and reality pervade Bergman’s work. Bergman came from a religious family; his father was a Lutheran Bishop and even chaplain to the King of Sweden for a spell. And he was a man of extreme right-wing beliefs who inflicted brutal punishments on young Ingmar. Bergman once noted that he lost his faith at age eight. As for The Magician, it’s one of the scariest films I’ve ever seen. It’s not a horror movie. Horror films bore me. The Magician had me jumping out of my seat. And then, with irony and humor, a stage coach driven emissary from the King of Sweden rides in to bring back reality. And Smiles of a Summer Night? Well, let me just say, it made me want to move to Sweden. Bergman always surprises. He’s never easy. And you can’t look away from the screen. For this series, I have less spare time on my hands. But I’m certainly going to be attending one of the full day showings of Fanny and Alexander and of one of the full day showings of Scenes from a Marriage. Summer with Monika is another must-see, and I can’t miss The Magic Flute. As for The Rite, the title evokes such curiosity that I can’t stay away. 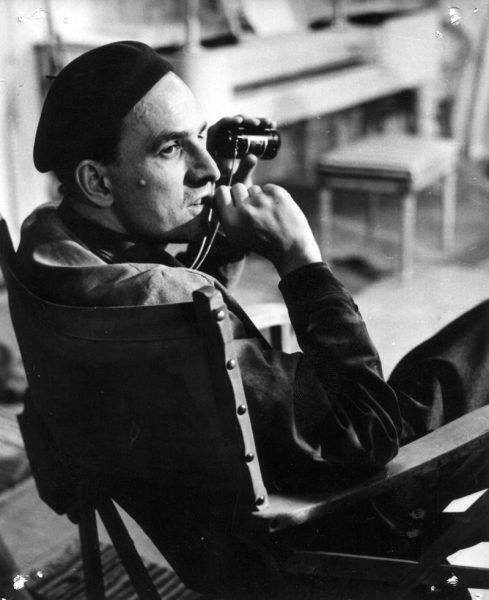 Ingmar Bergman Centennial Retrospective, Film Forum, February 7 through March 15. Visit the Film Forum site for the entire line-up and schedules.